I have been elected as a foreign distinguished member of the Suomalainen Tiedeakatemia (Finnish Academy of Science and Letters). This is a learned society covering the full range of academic disciplines which is devoted to the promotion of scientific and scholarly research and serves as a bond uniting researchers engaged in these activities at the highest level. It functions as a traditional learned society in the sense that its membership is limited and it selects its new members on their academic and scientific merits. It pursues its declared aims by arranging lectures and discussion meetings, publishing scientific papers, awarding grants and making recommendations and statements of opinion to the authorities in matters concerned with scientific and academic research and those who practice it. The Academy is represented on many scientific committees and in various organizations and foundations. Professor Lloyd is a world-respected economic historian and political economist who has been a visiting professor in recent years in the Nordic Centre of Excellence on the Welfare State (Nordwel) based in Helsinki and is now a visiting professor at the Finnish Centre of Excellence in History. Professor Lloyd has been the President of the Economic History Society of Australia and New Zealand and the Treasurer of the International Economic History Association. Professor Lloyd's research interests are in several fields. 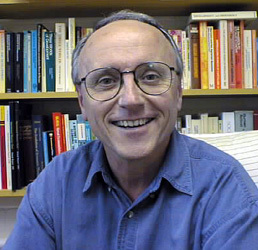 He has published extensively in the following areas: the history of the Australian capitalist system, particularly regimes of regulation and the issues of resource-curse development, the role of the developmental state, and pension regulation; the history of Social Democratic Welfare Capitalism on a world-wide scale of the past century or more; the comparative world-wide history of settler capitalist economies (including Australia); indigenous participation and hybridity in the history of the Australian economy; long-run interactions of geopolitics, economies, and environments; socio-economic evolution theory; and the philosophy and methodology of social science history. Lloyd, C (ed) (1983) Social Theory and Political Practice; Wolfson College Lectures for 1981, (ed with Introduction), Oxford University Press, Oxford. Lloyd, C (1986) Explanation in Social History, Blackwell, Oxford and New York. Lloyd, C Rugendyke B and Epps, R (1997) Global Interactions: A Senior Geography, Book 3, Heinemann, Melbourne. Fijn N, Keen I, Lloyd C, and Pickering M (eds) (2012) Indigenous Participation in Australian Economies, II: Historical Engagements and Current Enterprises, ANU E-press, Canberra. Lloyd C, Metzer J, Sutch, R (eds) (2013) Settler Economies in World History, Brill, Leiden. Lloyd, C (1987) 'Capitalist Beginnings in Australia', Arena, No. 81, pp. 35-55. Lloyd, C (1989) 'Realism, Structurism, and History: Foundations for a Transformative Science of Society', Theory and Society, Vol. 18, No. 4, pp. 451-494.
of Maurice Mandelbaum', History and Theory, Vol. 28, No. 3, pp. Lloyd, C (1989) 'People's History and Socialist Intellectuals', Arena, No. 88, pp. 173-180. Lloyd, C (1990) 'Structural History and Action History: Separate Methodologies or Convergences? ', Australian Historical Association Bulletin, No. 61, pp. 31-42. Lloyd, C (1991) 'The Methodologies of Social History: A Critical Survey and Defense of Structurism', History and Theory, Vol. 30, No. 2, pp. 180-219. Lloyd, C (1994) 'The Fateful Experiment of the Anasazi People: Environmental Adaptation and Economic Collapse of the Pre-Historic Pueblo Indians', in University of New England, 1993 Research Report, pp 7-11, Armidale. Lloyd, C (1995) 'Economic History and Policy: Historiography of Australian Traditions', in John Moses (ed), Historical Disciplines in Australasia: Themes, Problems and Debates, Special Issue of Australian Journal of Politics and History , Vol. 41, pp 61-79. Lloyd, C (1996) 'For Realism and Against the Inadequacies of Common Sense: A Response to Arthur Marwick', Journal of Contemporary History, Vol. 31, No. 1, pp 187-203. Lloyd, C (1997) 'Can There be a Unified Theory of Cosmic-Ecological World History?' Focaal: Journal of Anthropology, No 29, pp. 171-180. Lloyd, C (1997) 'Can Economic History be the Core of Social Science? Why the Discipline Must Open and Integrate to Ensure the Survival of Long-Run Economic Analysis', Australian Economic History Review, Vol 37, No 3, pp 256-266. Lloyd, C (1998) 'Australian and American Settler Capitalism: The Importance of a Comparison and its Curious Neglect', Australian Economic History Review, Vol 38, No 3, pp 280-305. Lloyd, C (2001) 'Economic History as the Integrating Core of Social Science', in Patricia Hudson (ed) Living Economic and Social History, pp. 219-223, Economic History Society, Glasgow. Lloyd, C (2002) 'Introduction' to Special Issue on Australian Institutional Change, Australian Economic History Review, Vol 42, No 3, pp 235-237. Lloyd, C (2002) `Regime Change in Australian Capitalism: Towards a Historical Political Economy of Regulation´, Australian Economic History Review, Vol 42, No 3, 2002, pp 238-266. Lloyd, C (2002) 'Review Article of Davis and Gallman, Evolving Financial Markets and International Capital Flows. Britain, the Americas, and Australia, 1865-1914', Financial History Review, Vol 9, No 1, pp 99-102. Lloyd, C (2003) 'Economic Policy and Australian State Building: From Labourist-Protectionism to Globalisation', in A. Teichova and H. Matis (eds), Nation State and the Economy in History, Cambridge University Press. Lloyd, C (2003) 'History and the Social Sciences' in S, Berger, H. Feldner, and K. Passmore (eds) Writing History: Theory and Practice, Arnold, pp 83-103. Lloyd, C (2004) 'AUSFTA as Free Trade Imperialism: The Regionalisation of All Australia", Dissent Magazine, No 15, Spring, pp 44-47. Lloyd, C (2005) 'Past, Present and Future in the Global Expansion of Capitalism: Learning From The Deep and Surface Times of Societal Evolution and the Conjunctures of History', Österreichische Zeitschrift fûr Geschichtswissenschaft Vol 16, No 2, pp 79-103. Lloyd, C (2005) 'Beyond Sciences in Historical Theory? Critical Commentary on the History/Science Distinction', Storia della Storiografia, No 46. Lloyd, C (2005) 'The Methodologies of Social History: A Critical Survey and Defence of Structurism', in Robert Burns (ed) Historiography: (Critical Concepts in Historical Studies Series) Vol II, Ch 20, Routledge, London, pp 24-67. Lloyd, C (2008) 'Australian Capitalism Since 1992: A New Regime of Accumulation? ', Journal of Australian Political Economy, No 61, pp 31-56. Lloyd, C (2008) 'Political Economy Today and Tomorrow; The Contribution of The Oxford Handbook of Political Economy', Australian Journal of Political Science, Vol 43, No 2, pp 341-345. Lloyd, C 2008. 'Towards Unification: Beyond the Antinomies of Knowledge in Historical Social Science', History and Theory Vol 47. Lloyd, C (2010) 'The Emergence of Australian Settler Capitalism in the 19th Century and the Disintegration/Integration of Aboriginal Societies: Hybridization and Local Evolution Within the World Market', in I Keen (ed) Settler-Aboriginal Economic Relations, ANU E-Press, Canberra. Lloyd, C (2010) 'Philosophy of History' in A Companion to Philosophy in Australia and New Zealand (ed) G Oppy and N N Trakakis, Monash University Publishing, Melbourne. Lloyd, C (2011) 'The History and Future of Social Democratic Welfare Capitalism: From Modernisation to the Spectres of Ultramodernity', in Pauli Kettunen and Klaus Petersen (ed) Beyond Welfare State Models: Transnational Historical Perspectives on Social Policy, Edward Elgar, Cheltenham. Lloyd, C (2010) 'The Coming of the Angloworld. A Critical Appreciation of James Belich's Replenishing the Earth: The Settler Revolution and the Rise of the Angloworld, 1783-1939', New Zealand Journal of History, Vol 44, No 2. Ramsay, T and Lloyd, C (2010) 'Infrastructure Investment for Full Employment: A Social Democratic Program of Funds Regulation', Journal of Australian Political Economy, No 65. Lloyd, C (2012) 'Resource Rents, Taxation, and Political Economy in Australia: States, Public Policy, and the New Squatters in Historical Perspective, Australian Policy Online, Canberra and Swinburne, 28 May 2012. Lloyd, C and Metzer J (2013) 'Settler Colonization and Societies in World History: Patterns and Concepts', in Lloyd, Metzer, Sutch (eds) Settler Economies in World History, Brill, Leiden. Lloyd, C (2013) 'Institutional Patterns of the Settler Societies: Hybrid, Parallel, and Convergent', in Lloyd, Metzer, Sutch (eds) Settler Economies in World History, Brill, Leiden. Lloyd, C (2013) 'Evolution Theory and Economic History: A Partnership of Mutual Necessity? ', in J Granda and J Schreiber (eds) Perspectiven durch Retrospectiven: Wirtschaftsgeschichtliche Beiträge, Böhlau Verlag, Köln Weimar Wien. Lloyd, C (2013) 'The 1890-1910 Crisis of Australian Capitalism and the Social Democratic Response. Was the Australian Model a Pioneering Regime of Social Democratic Welfare Capitalist Regulation?' In H. Haggren, J Rainio-Niemi, and J Vaukhonen (eds) Multilayered Historicity of the Present: Approaches to Social Science History, Unigrafia, Helsinki. Lloyd, C (2013) 'Welfare State and Capitalist Crisis', in G Jonsson and K Stefansson (eds) Retrenchment or Renewal: Welfare States in Times of Economic Crisis, Nordwel Studies in Historical Welfare State Research, Nordwel, Helsinki. Lloyd, C (2013) 'Beyond Orthodoxy in Economic History: Has Boldizzoni Resurrected Synthetic-Structural History? ', Investigaciones de Historia Económica – Economic History Research, Vol 9. Lloyd, C (2014) (with Tony Ramsay) "Macroeconomic Prosperity and Social Inclusion: From Long-Run History to the Shock of May 2014”, Journal of Australian Political Economy, 74. Lloyd, C (2015) "The Lucky Country Syndrome in Australia: Resources, Social Democracy and Regimes of Historical Political Economy”, inn M Badio-Miro, V Pinilla, and H Willebald (eds), Natural Resources and Economic Growth: Learning from History, Routledge, London and New York. Lloyd, C (2015) “Analytical Frameworks of Australia’s Economic History”, Ch 3 in S Ville and G Withers (eds) Cambridge Economic History of Australia, Cambridge University Press, Cambridge. Lloyd C and Battin T (2018) ‘Reinforcements for the Wage-Earners’ Welfare State? The Effect of World Wars on Australia’s Model of Welfare’, Chapter in H Obinger, P Starke, K Petersen (eds) Warfare and the Welfare State, Oxford University Press, Oxford. Lloyd, C 'The Significance of Developmental Welfare States to Catch-Up and Modernization in the Long-Run', European Social Science History Conference, Valencia, April 2016. Lloyd, C and Ramsay, T, 'Has Western Labour Become an Instrument of Neo-liberal Capitalism? What are the possibilities of organised labour again becoming both saviour and transformer of 21st century capitalism? ' Industrial Relations in Europe Conference, Gothenburg, September 2015. Lloyd, C 'Extractive Resource Capitalism and the Labourist-Protectionist Compromise: Australian State Experiments of 1891-1916 Re-examined', Asia Pacific Economic and Business Conference, Adelaide, February, 2015.